Sportivate is a £56 million Lottery funded London 2012 legacy project that gives more young people the chance to discover a sport that they love. The programme gives 11-25 year-olds who are not particularly sporty access to six-to-eight weeks' of FREE or subsidised coaching in a range of sports. 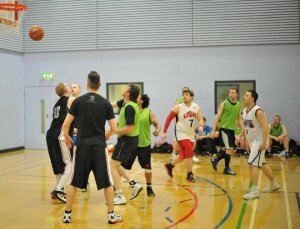 There's a wide range of activities on offer including traditional sports like basketball, football, badminton and cricket alongside more alternative, tailor-made activities involving climbing, fitness, Free-running, dance and multi-sports. During the six-to-eight weeks those taking part can work towards an event or personal challenge and when the free or low-cost coaching has finished they will be supported to continue playing sport. Sportivate launched in June 2011 as a four-year programme aimed at 14-25 year-olds but, due to its success, additional funding of £10m per year has been invested allowing the programme to run until March 2017. In Year 6 (1 April 2016 – 31 March 2017) £79,195 has been distributed so far to enable the delivery of 76 projects across the whole of Derbyshire. Each of the 8 Districts and Boroughs, aswell as Derby City, have benefitted from a share of this Sportivate Funding. 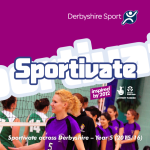 In Derbyshire over 10,000 young people have taken part in at least one Sportivate funded session since 2011. More females (51%) than males (49%) have been retained in the programme which is helping towards the priority of getting more females active.